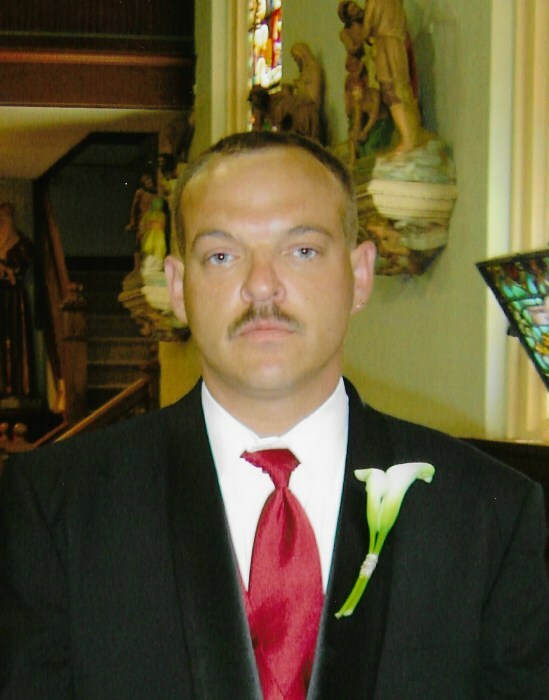 Robert Weldon Penland, 45 years of Pleasant Lake, drowned on Saturday, January 19, 2019, after falling through the ice while fishing on Terry Lake at Hamilton, Indiana. Robert was born January 30, 1973 in Washington D.C., to Mark S. and Martha (Mosley) Penland, while they were both serving in the United States Marine Corps. Robert later moved to live with his mother in Silsbee, Texas. At the age of 11, Robert moved back to Hamilton to live with his grandparents, DeLos and Dorothy Penland. Robert worked as a Forklift operator for OSS in Hamilton. He was a member of St. Anthony Catholic Church in Angola. He loved to hunt and fish and was known for his ability to find morel mushrooms. Robert is survived by his mother and stepfather, Martha (Johnny) Lascoski of Silsbee, Texas; half-brother James Lascoski also of Silsbee, Texas and his grandparents, DeLos and Dorothy Penland of Hamilton along with several aunts, uncles and cousins. He was preceded in death by his father, Mark Penland; half-sister, Paula Sewell and his special uncle, Terry Penland. A Gathering of family and friends and celebration of his life will be held on Saturday, January 26, 2019 at 11:00 a.m. in the Hamilton United Methodist Church, 7780 South Wayne Street, Hamilton followed by a luncheon prepared by the ladies of the church. Arrangements are under the care of Oberlin-Turnbull Funeral Home, Hamilton, Indiana. Those planning an expression of sympathy are asked to consider memorial contributions be made to the Hamilton Volunteer Fire Department, P.O. Box 488, Hamilton, Indiana 46742.